First, I should preface this post. This blog post is in the legal category of my blog, but I am NOT an attorney. Always follow the discretion of your attorney over what I say and/or write. Your attorney will understand things about your case that nobody else will, like the nuances of your case, the general attitudes that key people in your case have, and such. So, always listen to your attorney in your case, over anyone else. Now, on to the topic of this blog post. This blog post is about the Notice To Preserve Evidence Letter, sometimes referred to as the Litigation Hold Letter. This has to be one of the most effective tools for gathering evidence that I have ever used, but yet one of the most overlooked tools that I know of. The Notice To Preserve Evidence Letter is very powerful, if worded correctly and explained correctly to the person it is being served to. I have served these Notice To Preserve Evidence Letters for over 10 years, and although attorney’s seem to overlook using them, or at least seem to rarely use them, we have gotten evidence that we would not have gotten without using them. In one case we got video evidence that actually exonerated a client on drug trafficking charges, and in another case we got video evidence that assisted a client in securing a settlement from city government. Below is a photo of an old Notice To Preserve Evidence Letter that RMRI, LLC. used to get video evidence that resulted in our client obtaining a settlement from the city of Columbia, MO. The benefit to the Notice To Preserve Evidence Letter is that it puts a burden on the person that it is being served to, that often times influences that person to turn over the requested evidence when they are being served rather than have to try to keep up with it and risk losing it. In the case mentioned in the previous paragraph, where our client was exonerated from drug trafficking charges, RMRI, LLC. served a Notice To Preserve Evidence on a local hotel for video footage in the time frame that the arrest and search of our client occurred, and we found evidence that the items that were found in the search did not belong to our client, nor did he have any knowledge that they were there. The evidence was compelling enough that the prosecution dropped all charges against our client. The hotel did not want to have to pull the video, store it, and be responsible for it, so the management decided to allow us to pull the video and process it the same day we served the the hotel with the Notice To Preserve Evidence Letter. We actually got key video evidence in this case before the local law enforcement agency that investigated this case did. 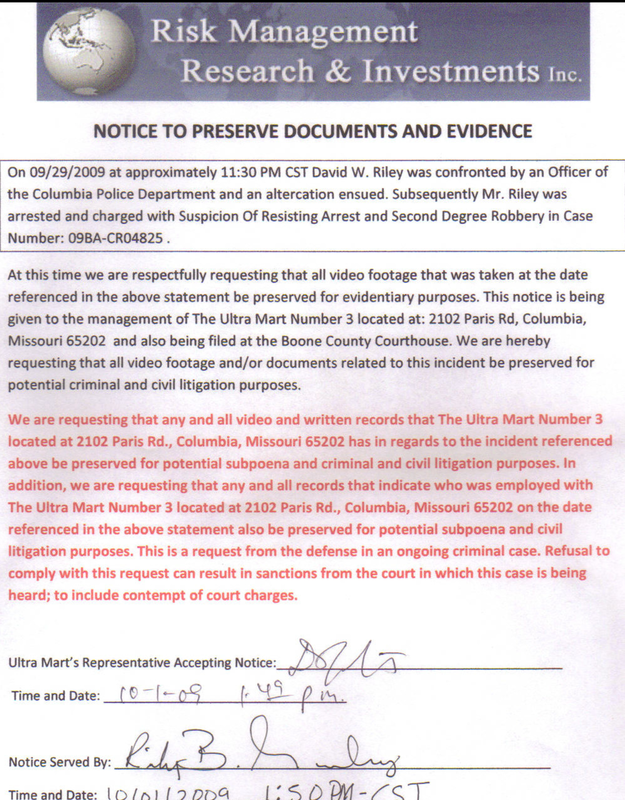 In the other aforementioned case where our client got a settlement from the city, we also got that video evidence before local law enforcement did, the Notice To Preserve Evidence Letter in that case is pictured above. Typically, Notice To Preserve Evidence or Litigation Hold Letters are used in civil cases, however I know of no case law, court rule, or procedure which bars them from being used in a criminal case. The Notice To Preserve Evidence Letter should be crafted by the Private Investigator in these criminal cases, since the Private Investigator should know what specific evidence to target, approved by the attorney, and then served by the Private Investigator. Serving the Notice To Preserve Evidence Letter is no different than process service, as a matter of fact it is process service. After the Notice To Preserve Evidence is served, the signatures are taken and the time and date are filled out, a copy of it should be put in the court docket. This allows the court to see that the party that was in possession of said evidence was put on notice to preserve that evidence in a legal matter. The Notice To Preserve Evidence Letter has been one of the most powerful tools that I have ever used in gathering evidence in criminal and civil cases. 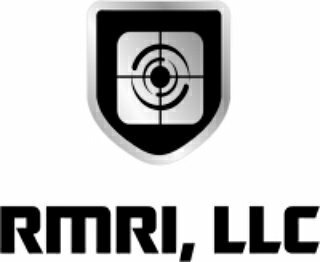 RMRI, LLC. hopes to see this tool more widely used by attorney’s and private investigators to gather key evidence that may exonerate their clients in criminal cases or win judgments in civil cases. Rick Gurley of RMRI, LLC. Tagged with Boone County, Business, Columbia, Columbia Missouri, Court, CPD, Criminal Defense, David Riley, Digital Evidence, Digital Forensics, Law, Law Enforcement, Lawsuit, Lawyer, Legal Information, Litigation Hold Letter, Missouri Private Investigator, Notice To Preserve Evidence Letter, Private Detective, Private Investigation, Private Investigator, Prosecutor, Rick Gurley, Ricky Gurley, RMRI, RMRI Inc.
A Good Referral To An EXCELLENT Attorney Who Did A Spectacular Job For Me!